Many of our friends will know that BrassNeck Theatre not only brings its audiences fabulous theatre but we have also helped to raise thousands of pounds for various charities since our inception in 2010. Whether through collections for the year’s chosen charity, personal challenges, a superb evening with ‘Fire and Ice’ or teams of BrassNeck ladies completing the Race for Life, we like to think we have made a difference. 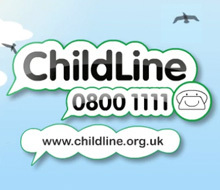 We are proud to be collecting for the NSPCC at our production of The 39 Steps. The NSPCC’s ‘Childline’ celebrates its 30th anniversary in 2016 during which time they have helped over 4 million children. At our AGM in December, we asked for ideas for the charity to be supported at our productions of Spamalot and Rock of Ages. There were several suggestions but a majority asked for The Alzheimer’s Society so it was decided to help this very worthwhile cause. Thank you to everybody who offered suggestions and to all who help us to help other people. We look forward to seeing you all at this superb production of The 39 Steps which runs from 17-21 May, the Box Office is open now.